An innovative storage solution made from clear resipreme with chrome accents. 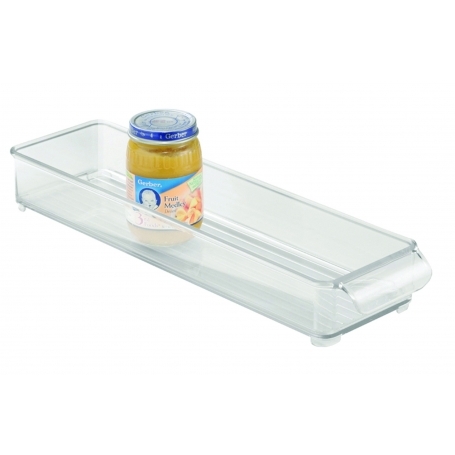 Stackable for efficiency and to create additional fridge or storage space. Bins can slide on top of each other offering stacked space saving benefits.